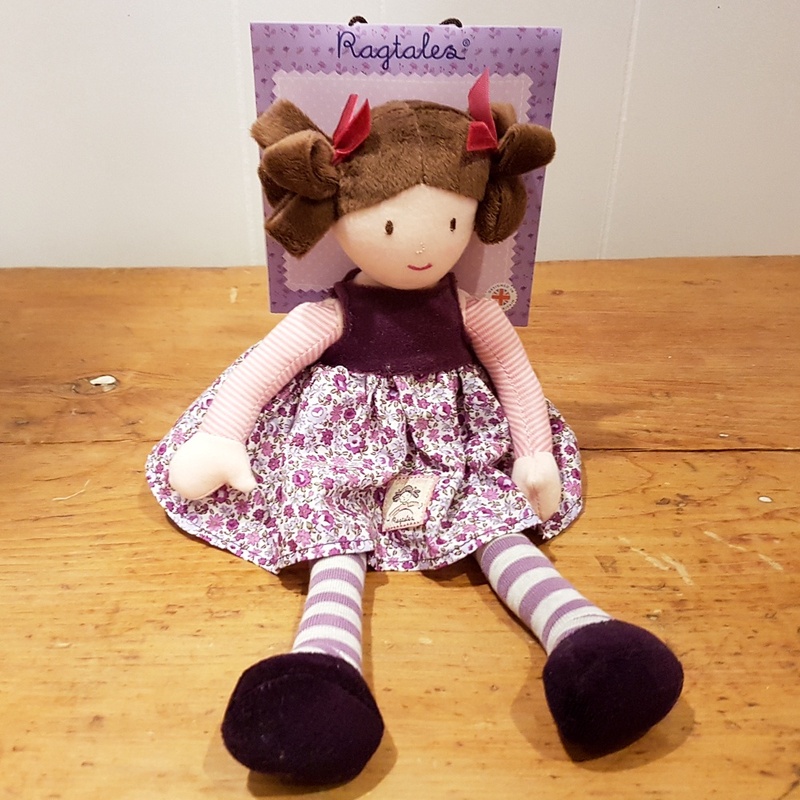 Tilly our original and very pretty rag dolly is dressed in a beautiful, purple floral print dress and sleeveless jumper. She also has pretty pink pants, and all her clothes are removable. This cute rag doll is weighted in the base so that she can sit prettily on any shelf and is made from the softest jersey. Her look is completed with thick stripy tights and soft velour shoes. She has a delightful embroidered face and soft velour bunches tied with a ribbon. Ragtales was created in 2011 by two friends whose aim it was to introduce a collection of soft toys and ragbooks that are evocative of the rich visual heritage of British literature. Every one of their characters is inspired by the quirky, whimsical stories that are part of our childhood. All the members of the Ragtales family have a story to tell. Size: Tilly is 35 cm tall. Suitable for birth onwards (as eyes and nose are embroidered) and machine washable at 30 degrees.